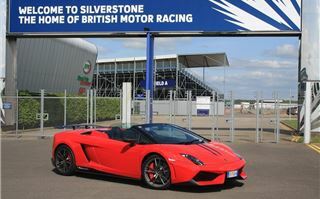 The Lamborghini Gallardo approaches its 10th birthday, and its maker is also celebrating its 50th anniversary. In honour of this landmark, Lamborghini has introduced the ultimate version of its best-selling car featuring the latest Edizione Technica package of performance enhancements. This might well be the final, and ultimate, edition of the appealing V10-cylinder four-wheel drive supercar, which is due for replacement in 2014. 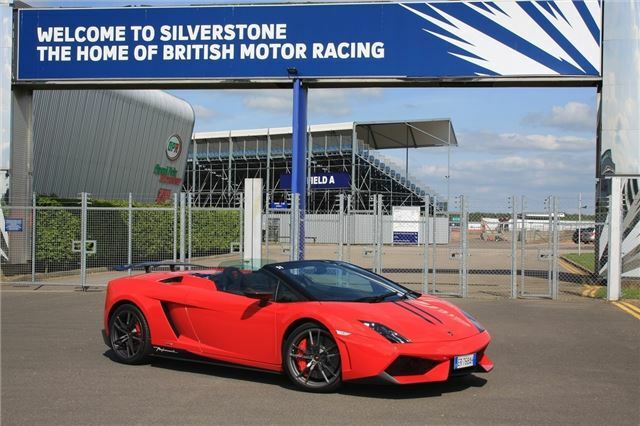 The Gallardo range was refreshed in 2011, and since then has been available as the LP560-4 coupe and spyder, available in Superleggera and Performante range-topping forms. That last round of changes sharpened up the styling, and added a boost in performance that allowed the Gallardo to keep pace with its principal rivals, the Ferrari 458 Italia and McLaren 12C. The interior is brilliantly screwed together, and the suede-trimmed steering wheel feels gorgeous. The fixed seats, trimmed in the same material, hold you tight and low with a legs-stretched driving position. But for nearly £200,000, the MMI infotainment/sat-nav system and climate control system panel lifted straight from the Audi parts bin, and the scattered switchgear may be functional, but they're simply not special enough. The mechanical package remains largely as before - and that's all good. The Gallardo is powered by the same mid-mounted 570PS 5.2-litre V10 that's fitted to the standard Performante (what Lamborghini calls the Superleggera Spyder). Transmission is by Lamborghini's automated six-speed E-Gear manual with paddle shifters, and drive is by permanent four-wheel drive - a unique selling point in this market sector. There might be some unkind talk out there about the Gallardo's age, but on the road, it has all of the presence and visual impact of its younger rivals - if not more so. Lamborghini has always built the wildest of all the Italian supercars, and the Edizione Technica continues superbly that tradition. And without resorting too much to cliche, it's not a supercar for the timid. The visual drama is nothing compared with the noise it makes. It fires up with a bark and for the first 30 seconds while it clears its throat, it idles loudly away to itself, encouraging you to blip the throttle. select drive, and you can trickle the Gallardo thanks to its long-travel throttle, but floor is and the V10’s engine note is intoxicating and intense as it quickly climbs to its 8500rpm red line. In Sport and Corsa modes, an exhaust flap opens and you get the full soundtrack - enjoyed more fully with the electric roof down. Gearchanges are smooth if you remember to lift the throttle briefly at the change-up point, but can be rough if you don't. A twin-clutch will make driving more consistently smooth, despite what Lamborghini says. Straight line performance won't disappoint. Maximum speed is 201mph, and 0-60mph comes up in 3.5 seconds. Thanks to brilliant traction afforded by the all-wheel drive and super-sticky Pirelli P-Zero Corsa, replicating those figures is relatively straightforward if you're happy to quickly wear out those tyres. On UK A-roads, it's little short of a weapon, in Sport mode, overtaking is a flex of your right foot away, and your only real problem is keeping it all legal. On B-roads, it's much more fun, with well-weighted steering, great turn-in response, oodles of lateral grip and weighty, fade-free carbon ceramic brakes. Its relatively compact dimensions mean you can press on ini confidence, without the super-width concerns you get with a full-fat supercar such as the Lamborghini Aventador or Ferrari F12. In short, it's the ultimate point and squirt machine, as long as the road surface isn't too broken-up. And that combination of usability, flamboyance with devastating pace and noise make the Edizione Technica an utterly desirable proposition. Yes, the Gallardo's getting on a bit, and its Ferrari and McLaren rivals outpoint it in several key areas, but the Gallardo still tugs the heartstrings in all of the right places, like a true Lamborghini, even if we know its replacement is merely months away. And with that, we can't help but wonder just how brilliant its replacement needs to be in order to top it.